IRONMAN Gravity 1000 Inversion Table - 300 lbs, 4' 9" - 6'6"
The Ironman Gravity 1000 inversion table, this style of inversion table has been around for some time now and is one of the first types of inversion table that introduced me to inversion therapy. 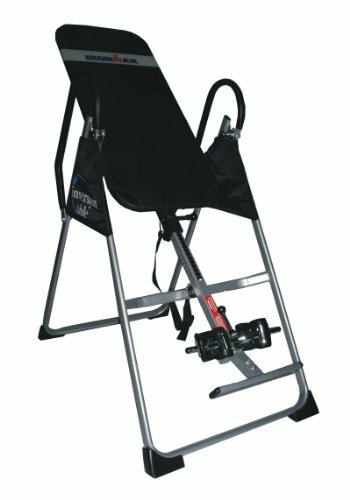 The fact this style of inversion table is still being manufactured and still being bought is a real testament to the no nonsense design. While other inversion tables may feature fancy padded beds and extra long ankle levers, this table opts for a simple yet highly effective, bare bones design. 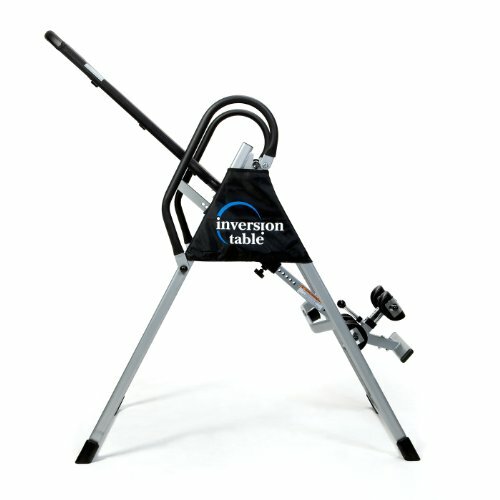 Despite its rather plain style, this inversion table is actually very highly rated and a very popular choice. The Ironman 1000 supports up to 300 lbs in weight and is able to accommodate users from 4 ft 9″ up to 6 ft 6″. The first thing you will notice about this inversion table is that the bed area is made of a nylon material and not padded. This however should not be viewed as a negative. The nylon is tightly stretched across the width and length of the metal backboard frame providing strong and comfortable support. The nylon fabric provides very good support to the back area and ensures that you do not sink into the bed, as you may do on a softer padded backrest. This can allow for less friction when inverting and therefore lets you stretch out your back with ease. When it comes to backrests, having a nylon bed such as this one may not be to everyone’s preference as some may prefer to be more cushioned on the table. However, from experience nylon backrests have always provided very good comfort, especially over short periods of inversion. New users will find the tether strap a welcome addition if they are gradually building up to fully inverting. The strap attaches to the lower part of the backrest with the other end attached to the frame. The length at which the strap is adjusted determines how far back you will invert. Limiting the inversion angle is not only a good choice for beginners, more experienced practitioners may also find this feature useful. Fully inverting at 180 degrees can often be quite intense and therefore restraining the angle somewhat is often a more relaxed, less intense way of decompressing the spine. The use of the tether strap is also optional and it can be removed entirely if desired, allowing for full unlimited inversion. *Please note, in the image to the right the tether strap appears to be attached, however there is no sign of it in the image (maybe removed using Photoshop?). This is how an inversion table would look however, if it was restricted by the tether strap. Aside from the poor assembly instructions the ankle holders appear to be the least favorable thing about this particular inversion table. 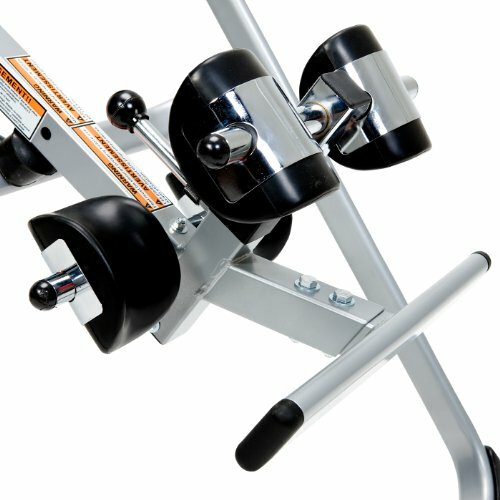 To secure the ankles in place this inversion table has the fairly standard spring pin adjuster, found on most inversion tables that do not feature an extra long ankle lever. The molded ankle cups secure the ankles in place while inverting. For many these ankle cups are fine, however there are some buyers who find them fairly uncomfortable. As someone who has used this tables like this, I personally have never had a problem with the ankle holders. 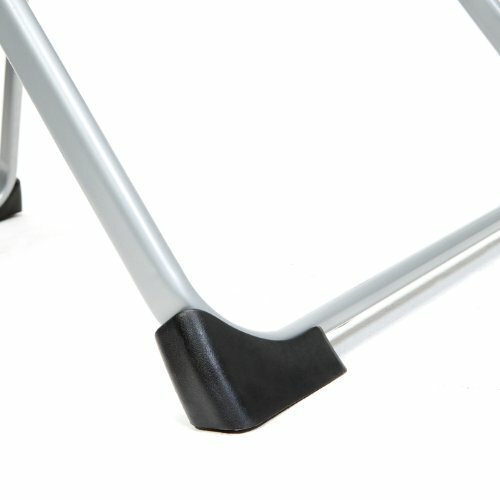 One suggestion may be to wear thicker socks when using this table, if you do find the ankle supports are not to your liking. 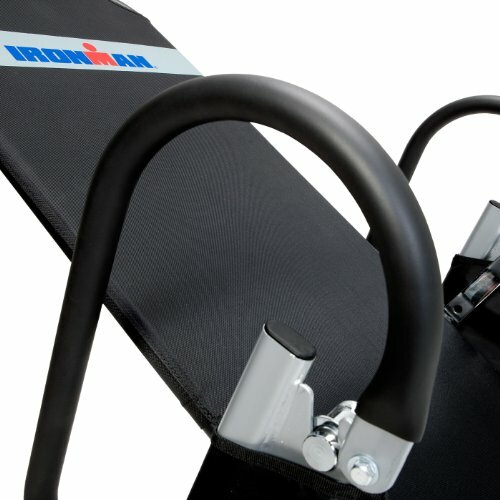 Like many other inversion tables the Ironman 1000 features fairly long side handles which are always useful when it comes to returning to the upright position. The table also features non skid floor stabilizers, another feature that is fairly common. 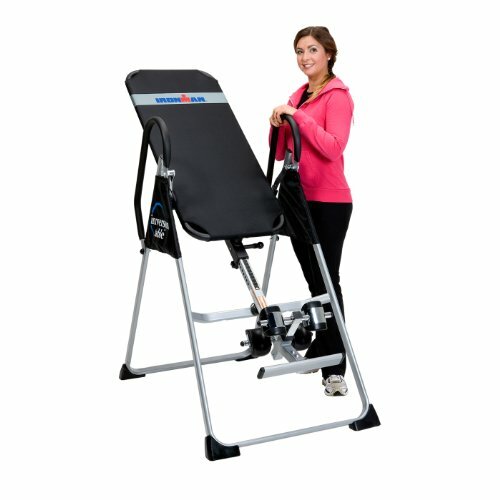 Is the Ironman Gravity 1000 A good choice of inversion table? 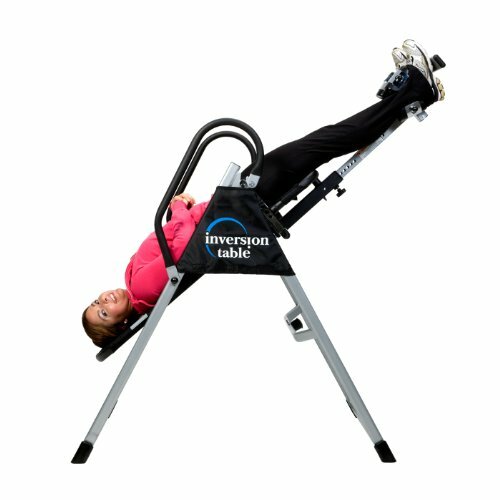 Looking at the buyer reviews (as you can also do in the next tab or on visiting the retailer) it is clear to see that many buyers really like this inversion table. 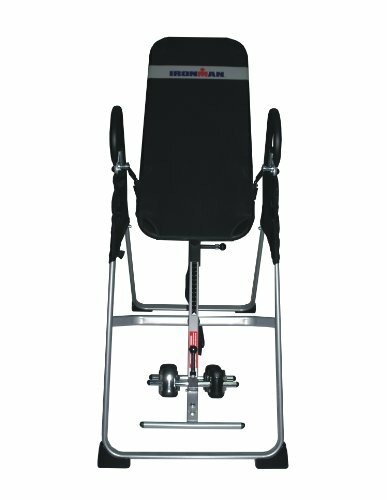 And it is certainly a very popular and highly rated inversion table. It is true there are better looking inversion tables on the market, which generally have more preferable features, however this table certainly “holds its own” in the market. The main complaints regarding this table are generally to do with the poor assembly instructions, which for some make the table a bit of an effort to piece together. Also as touched on earlier some also find the ankle holders uncomfortable. I personally owned an inversion table just like this many years ago and i found no issues whatsoever with the comfort or the functionality. The assembly however is a bit of a pain, but it is still manageable and a very minor issue. 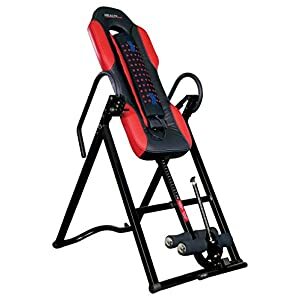 While this is a very good inversion table to consider overall, I would certainly look around a little at others in a similar price range first. You may find other inversion tables that possess some slightly better features that you may feel will benefit you more.